"The governors' alliance for the development of senior-friendly cars" is working on the development of automobiles that elderly people can drive in a brisk and safety way. The alliance was established by proposal of Fukuoka Prefectural Government in 2009, in which 36 prefectural governors participate at present. And under this alliance, a committee which consists of automobile engineering experts, academics on age-related medicine, and representatives from elderly/women groups, automobile manufacturers and ministries and agencies, is contributing to the project with the members' expertise. After analyzing car accidents involving the elderly and examining the results of a nationwide survey conducted for two years from 2009 targeting 10,000 elderly drivers, the alliance proposed drive assist functions corresponding to characteristics of elderly people, and a new vehicle category, which is a two-seater compact commuter car smaller than mini-vehicles, satisfying the needs of seniors who would drive only short distance, as a senior-friendly car. 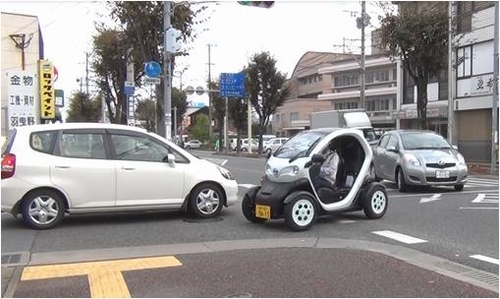 In 2011, in order to verify whether the two-seater compact car which is concept vehicles is accepted as a new mobility in elderly people's everyday life, the social experiments were conducted. Based on the results of analysis of the experiment in 2012, a part of the concept was improved. The alliance will continue its effort to put senior-friendly cars to practical use by various approaches including request to the national government for early foundation of a new vehicles standard and to automobile manufacturers for development of the cars corresponding to a concept, and provision of opportunities of social experiments for facilitation of the development.